Let my girlfriend and her brother fresh off his L's borrow my car while I was working. Got a call from her at 3am saying the car won't move. Drove out there and feels/smells like the clutch has burnt out. Car wouldnt move. Anyone know how much it costs to replace the clutch roughly? And how long it takes to get it done? Do they keep parts in stock? As I need the car for work. Its a 2 year old car so still under warranty, I'm assuming her brother did a few skids. I'm 100% sure that Mitsubishi won't cover it under warranty so we will be paying . But will the service department say anything or remove the warranty. 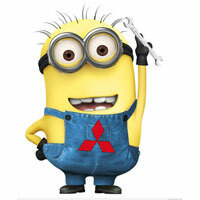 Give it a go with Mitsubishi,just don't tell them the circumstances.Never know your luck. Do you reckon they will ask how it happened? Clutch is like brake pads, if you slip it regularly it worns out quickly. No harm trying the dealer if you've had the car serviced there. If your a regular customer they may do it under warranty as a good will gesture, had a similar situation with Nissan and a Micra that had a broken syncro gear that was fixed under warranty despite obvious end user fault.